Booked for Bastille on Bishop July 14! Just got word that I’ll be back at Bastille on Bishop for the third year in a row. This is the 5th annual event, and it happens in the Bishop Arts District in Oak Cliff on July 14 from 6-10 p.m. They close 3 blocks of shops and restaurants to cars, and fill the streets with fun things to do. Lots of buskers (street performers) like me will be on hand, plus there’s a main stage for music. You can find out about all the events by clicking here. It’s a lot of fun — last year it rained, but that didn’t stop the crowds from being very nice (and pretty generous with tips — I only stayed about an hour and a half last year and made about $50 in tips — pretty good money for a 12-year-old who just worked for a little over an hour!). 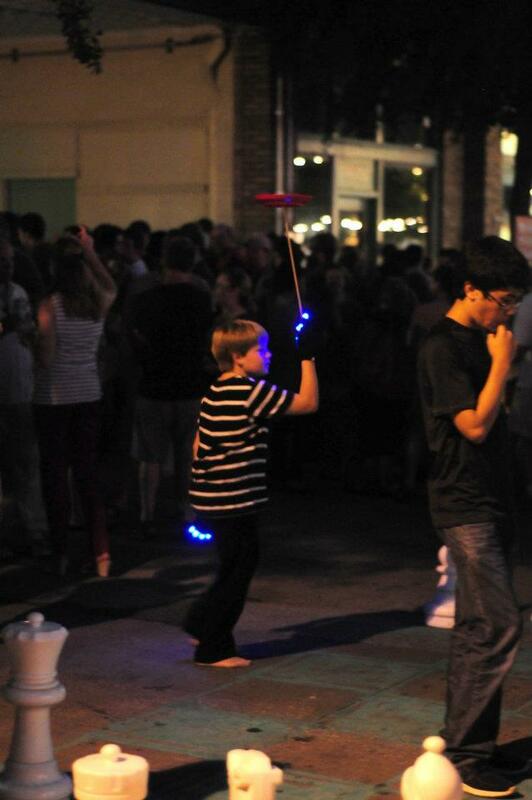 The first year I went, I did even better on tips — and another juggler gave me a unicycle, too. This year, I am thinking of going in clown make-up for the first time. I’ve been working really hard with Nic Rainone (Zerp), and I think I may try it. Hope I see you there! 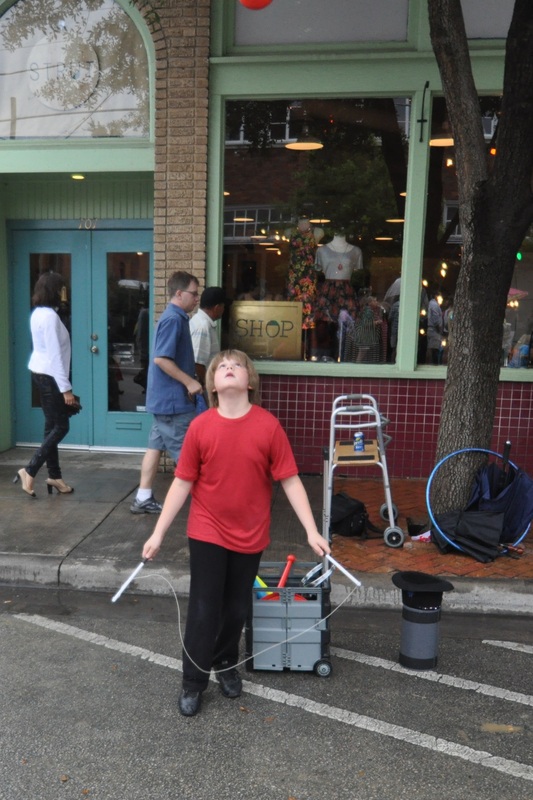 Last year it rained during Bastille on Bishop — I had trouble with my clubs because they kept getting wet, but the diabolo worked fine. This is me at the Bastile on Bishop festival in the Bishop Arts District in July 2012.